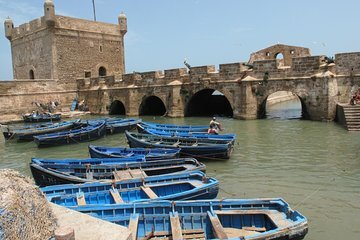 Explore the serene coastal city of Essaouira on this private, full-day tour from Marrakech. 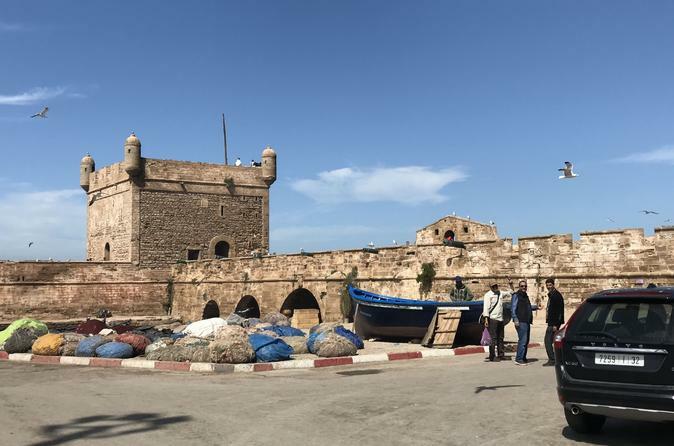 Located on Morocco’s Atlantic Coast, this walled port city — a late-18th-century fortified town — includes a fishing harbor (with an abundance of seagulls always soaring overhead) and a medina full of local artists selling their wares. Lunch is not included but there are a number of fine restaurants to pick from with fresh local fish and seafood for lunch. Marrakech hotel pickup and drop-off included. Ismail our driver was funny and quite entertaining. The trip to Essaouira was not dull at all. This is a small city so a half day city tour is more than enough to see most of its attractions. Ahmed the tour guide was kind and patient plus helpful. When he took us to the market, he made sure to bargain on our behalf so we could get the best price from the vendors. Our driver Ishmal arrived promptly and we were off to Essaouira. Ishmal advised us the day was ours and if we wanted to make stops to let him know. He was very informative during our journey pointing out historical and cultural sites. We made a few stops to take photos I enjoyed very much that he arranged for me to hold baby goats when we stopped to see the goats in th argon trees. Once we arrived in Essaouira we met up with our guide who to us on an informative tour of the medina and showed us about the old fort. He was very knowledgeable of the area's historical and cultural background. Following our walking tour we had lunch on the patio overlooking the sea. The day was perfect aside from the February chill and winds we were expected' but still the sun shone on our day and we had a lovely time. I look forward to seeing Ishmal upon my return next year and look forward to booking another tour requesting him. We were in Morocco for almost 2 weeks: one in Marrakech and then an 11 day group tour around the country. We made two day trips from Marrakech. Essueira and the Atlas mountain tour were highlights of our two weeks adventure. Tariq picked us up punctually from our in Medina. He was not only an awesome driver, but also a great tour guide for the two of us. We have had hair-raising drives in various countries and I was a little concerned in advance. He drove extremely safely and without speeding a bit. He showed us the vast argan tree groves along the road between Marrakech and Essueira the only place these amazing trees grow. He was full of information about the country, its people and language etc. His English was excellent. On our way back he took care to get us to the door of the new hotel where we moved with our entire luggage. In Essueira, we had another excellent guide, . We wanted to have a Jewish heritage tour of our own. Essueira previously Mogador - is an old Jewish town. . knew not only all important sights but had a great deal of information about the communitys past. Unfortunately there is no Jewish community left any more, but the Kings personal councel and minister . is a Jew from Mogador.
. Took us around according to our interests. I especially liked the fact that he did not push any advertisement visits to stores or workshops in which we were not interested. We did want to see, and saw the fish market, the souks of course smaller than in Marrakech but still interesting, the blue-and-white old town with medieval narrow streets, the harbor, the fishing boats, the fortress, a woodworker and a fabulous silverwork shop. It employed deaf young people. It was very interesting to see how they made beautiful filigree skillfully in front of our eyes. The shop had amazing, beautifully designed silverwork, which made great presents to take home. The tour lasted much longer than scheduled due to us lingering to see interesting sights. At no time did our guides rush us to keep on schedule. If you stay in Marrakech for a few days, this is certainly one top thing to fit into your itinerary. This was a wonderful tour! Abdul and Aziz were friendly, knowledgeable, and welcoming. By the end of the day they were more like friends than just tour guides. Essaouira is a perfect day trip from Marrakech. We enjoyed the entire experience and would highly recommend it. The day trip from Marrakech to Essaouira was great - Abdul was the perfect tour guide, he spoke great English, made sure we were safe and comfortable at all times and treated us to a few surprises on the tour, including a trip to see goats and how argan oil is made at a local cooperative.  If you want pure argan oil, then stock up here! Very cheap, organic, authentic and great quality. There were also plenty of photo opportunities during the day trip. We had another tour guide for inside the Essaouira medina, Ahmed, who genuinely is the most popular guy in Essaouira. He is a favourite with the locals, knowledgable about the making and history of the city. Lunch is a bit on the pricey side but it's worth it for having fresh seafood since it's the speciality of Essaouira, so it's worth trying while you're here. I really enjoyed this trip, it is a great break from the hustle and bustle of Marrakech and you can find cheaper gifts here. The beaches are also beautiful and the locals are friendly. It was a very nice, lazy and relaxed trip!.Ismail the travelguide/driver is a very friendly and customer-centric man. No haste, we did what i'am wanted! Thank you! Cute little city with some Portuguese influence. The drive was about 2.5 hours but a relaxing trip out of the hectic scenes in Marrakech. My husband and I highly recommend taking this excursion from Marrakech to Essaouira. This was our first excursion and loved every bit of it. Our driver was also our guide, Abdul. He was knowledgeable, friendly, courteous, and made our trip enjoyable from recommendations on where to have lunch to directions getting around the medina. He gave us plenty of time to explore the city as well as take pictures of the famous blue boats. He also took us to see picturesque farm life as well as an Argan oil cooperative run by local women. I literally stocked up as the prices are less than half compared with what I pay in the US. This is a must do excursion and taking a private trip is the way to go. My husband and I noticed groups waiting for their bus to pick them up and other passengers to arrive. My husband and I just arranged a time that suited us and Abdul, was there waiting for us and we were set. The minivan is well-maintained and amenities such as bottled water is really nice. I would do this tour again and would recommend Abdul to our friends and family for any tour or excursion from or to Marrakech. Great trip, Abdul driver / guide made the drive very enjoyable explaining the many sights on the drive to Essaouira and stopping to let us take pictures when we wanted. We had a relaxed day exploring Essaouira - I'd highly recommend.